Nigeria has been in the news quite a bit lately, for awful reasons, so reading a book that showed the lighter side of this controversial country was a welcome change from what I’ve been hearing these past few weeks. 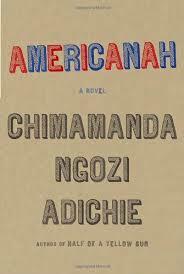 That’s not to say that Americanah is a light romp through the complicated territory of race, because that’s obviously not possible, but it gives an honest perspective of America, Nigeria, and parts of Europe that I found refreshing. You’re probably wondering how any of what I’ve described above sounds ‘light’. I should be clear that this is a very long, and literary book. There are many introspective passages, and the plot moves slowly. However, the plot also involves a very heart-warming love story that spans a few continents, so don’t let the book length scare you off, because a lot of women would enjoy and identify with this story. Reading about an immigrant experience in America typically creates a sense of smug superiority in Canadians like myself, mainly because a lot of the racism that the protagonist Ifem experiences immediately triggered a ‘not in my country’ kind of response while I read the book. However, in the blog that the Ifem writes, she points out quite a few examples of accidental racism, or offensive ignorance that also put me on the defensive, mainly because I could imagine myself or a friend unknowingly making these mistakes. However, I doubt very much that Adichie wrote this book to put white people like myself on the defensive, so whenever I caught myself justifying the behavior that Ifem was calling out, I forced myself to continue reading without judgement, which was difficult, but in the end rewarding. What good will come out of taking things personally when an author has strong views that you don’t necessarily agree with? Lumping her beliefs in with all Nigerian authors certainly isn’t the answer, which is why I believe reading with an open heart and mind is so important. I’ve said before that one reason I enjoy reading is because it offers me so many different perspectives on the world, and it brings me to places that I may never have the joy of visiting. 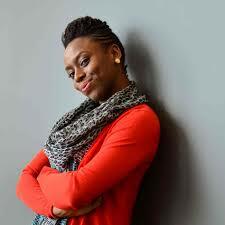 Americanah offers you just that, and more. I also don’t want to give the impression that Americanah is just a well-written immigrant novel. It goes beyond that, simply because it follows Ifem during her childhood in Nigeria, her immigration to America and her struggles there, and then her eventual return to Nigeria and her attempt to fit back into the culture she left. Although Ifem says and does some unkindly things to people in American and Nigeria, you also feel sorry for her, because you have this sense that she doesn’t fit in anywhere. She does not make friends easily, and you get the sense that she is constantly trying to ‘figure things out’ in order to settle into her life. Perhaps this is why Ifem ends up being such a likeable character that everyone can identify with in some way. She is hard, and quite judgmental at times, but I did enjoy reading about her, and I hoped things would work out for her, even though she made some questionable decisions along the way. I’d be interested to know what others thought about this novel, and whether they had the same conflicting reactions I did. This is definitely the kind of book that would start some lively discussions, and for this reason alone I highly recommend it. 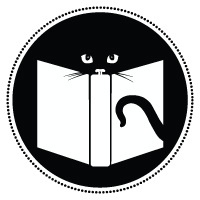 Previous Previous post: Book Rapport Launch! I read this quite recently and loved it – very detailed but also very readable. I agree that everything is bigger in the US, I visit it quite frequently and I know exactly what you mean! Thank you for visiting my blog and posting your comments, I always enjoy hearing how others responded to the same book.